“We had this conflict in the ’60s, when psychedelics went wrong. Rick is the Executive Director of the Multidisciplinary Association for Psychedelic Studies (MAPS), which he founded in 1986. His professional goal is to help develop legal contexts for the beneficial uses of psychedelics and marijuana, primarily as prescription medicines but also for personal growth for otherwise healthy people, and eventually to become a legally licensed psychedelic therapist. 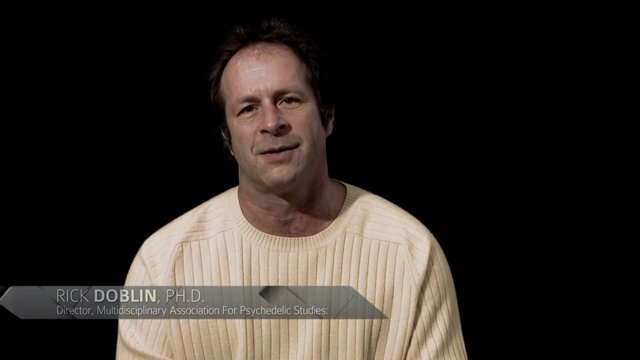 He received his doctorate in Public Policy from Harvard’s Kennedy School of Government and his undergraduate thesis at New College of Florida with a 25-year follow-up to the classic Marsh Chapel Experiment, aka the Good Friday Experiment, which evaluated the potential of psilocybin to catalyze religious and mystical experiences. Rick also conducted a thirty-four year follow-up study to Leary’s Concord Prison Experiment, which used psilocybin to evaluate the potential of the psychedelic experience as a catalyst in recidivism rates. In addition, he has studied with Dr Stanislav Grof and was among the first to be certified as a Holotropic Breathwork practitioner.